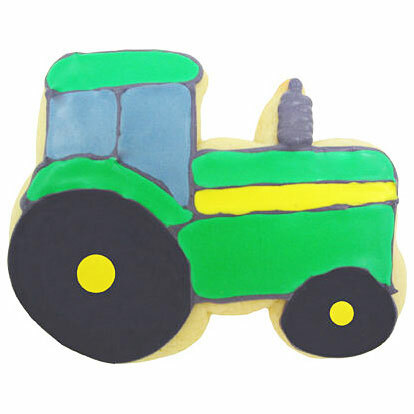 I ordered this to make cookies for a John Deere fan for Christmas. We used green and yellow frosting and they came out just grand. Cookie cutter cuts clean so cookies were clearly tractor shaped and enjoyed by all with great fun. I got this for Christmas but will also use it for birthdays and other holidays. It is a very nice cutter. It's a bit pricey especially with P&H. 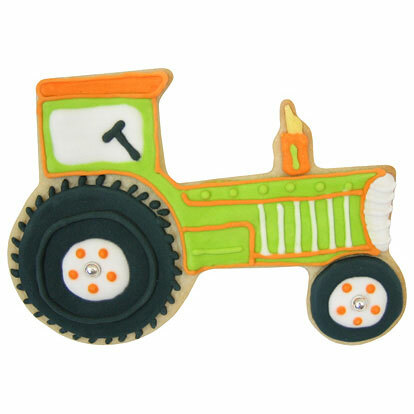 My boys love tractors, they loved the cookies we made with the tractor cookied cutter. I have to admit, this is the most I have ever paid for a cookie cutter and doubt I would pay that much again, no matter how unique. Ordered this tractor cutter at the last minute and got it in time with extra shipping charge -- worked out great all around. This cookie cutter, made of the finest materials, truly is heirloom quality. It makes a huge cookie, great sandwiches or pancakes, and would also be a great Christmas tree ornament. The cookies were a hit with the entire family, from the 1 year old to great grandpa! Keeping this for many years!! I made cute tractor cookies,the shape was very sharp and easy to outline. My great grandson was 2 and he loved the cookies going around the base of the cake. I would attach a picture if you had a add picture spot. I have many cutters and this one is really nice.Love the copper.Thankyou. Nancyj. Good quality. The price was a little higher than what I would have normally spent on a cookie cutter. It was a hit with all the tractor fans I know. I went to all the local stores looking for a tractor cookie cutter for my son's birthday tractor party. We made sandwiches and cut them out with the cookie cutter for all of his freinds, this was PERFECT and made PERFECT tractor sandwiches. EXCELLENT quality!! Recently I bought this item for my grandsons to make sugar cookies. Loved this item so much I bought an additional one to give as a gift. 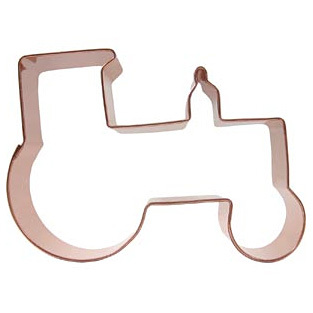 Great cookie/sandwich cutter but a little expensive for a cookie cutter.